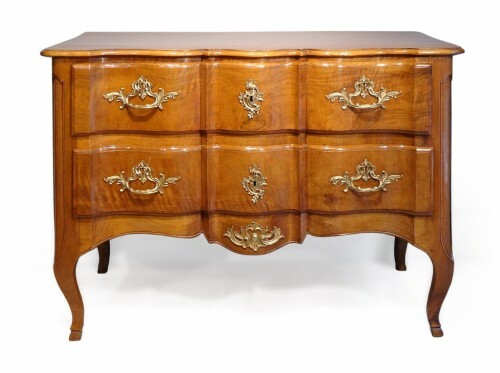 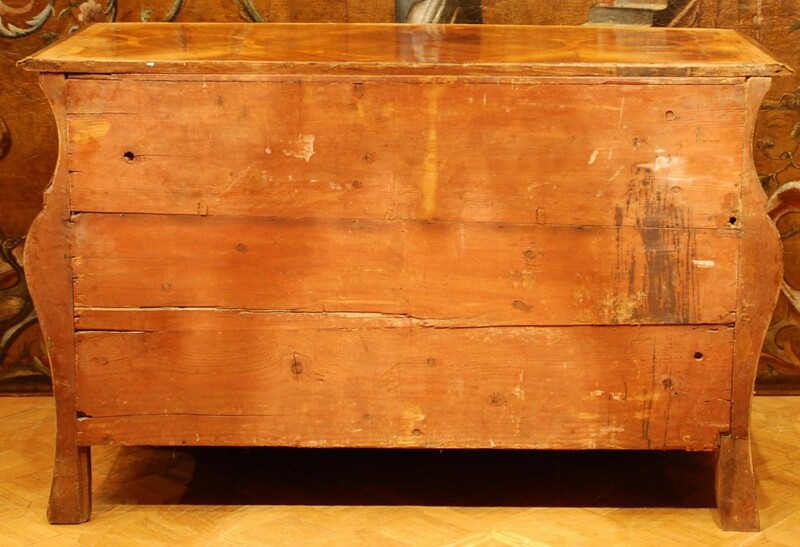 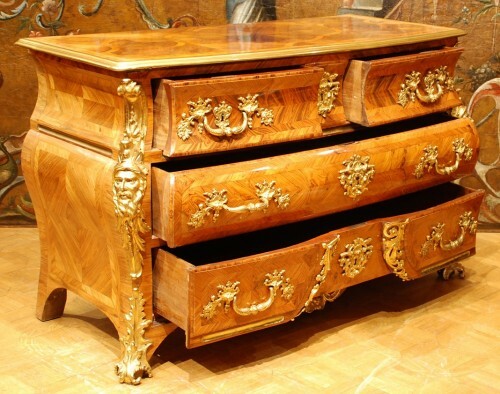 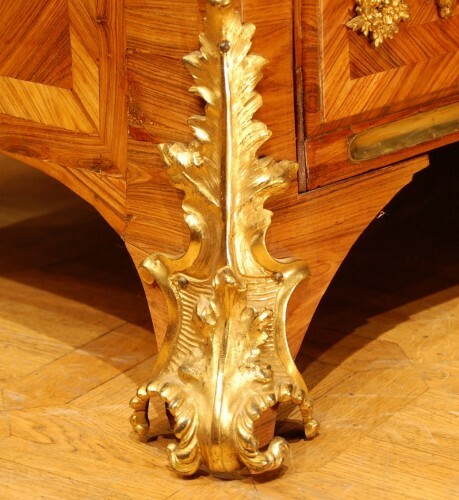 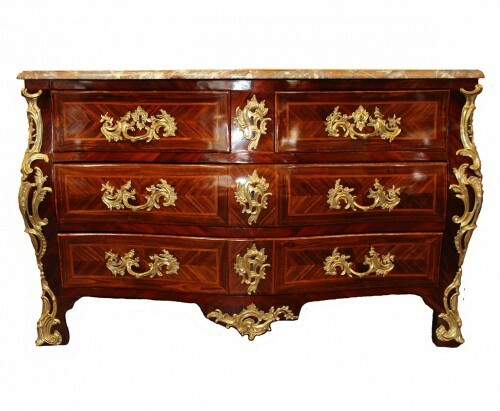 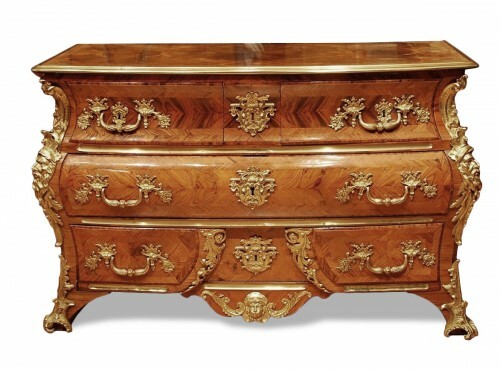 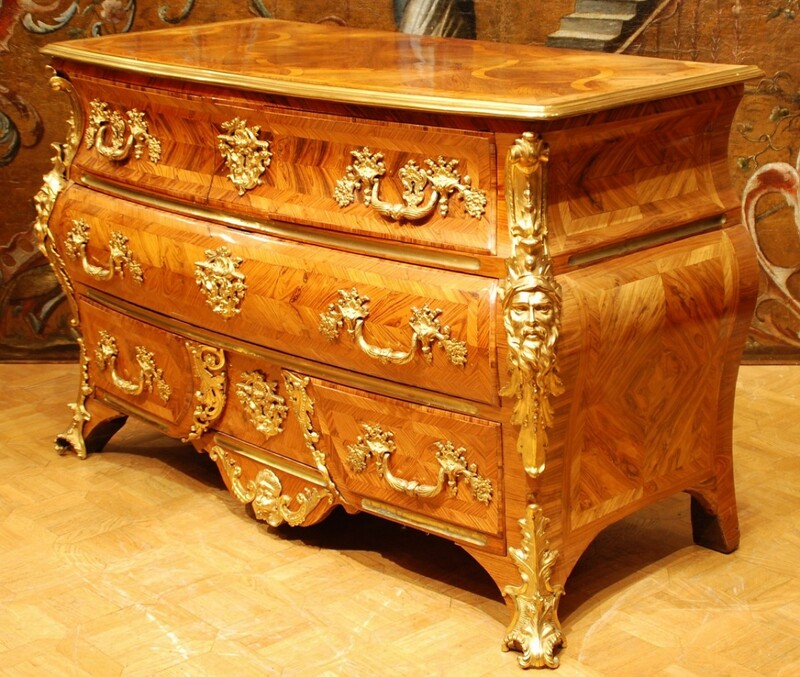 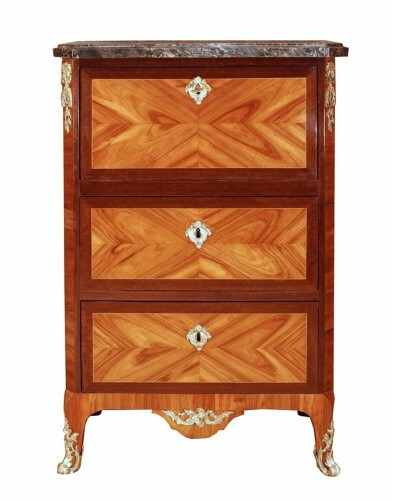 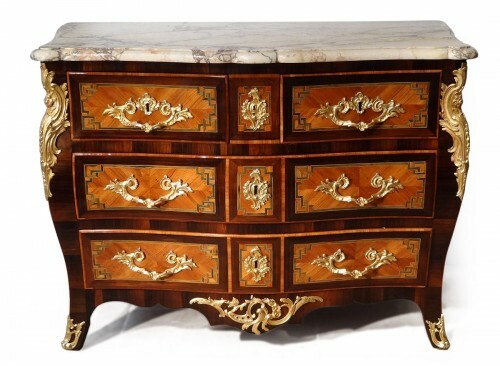 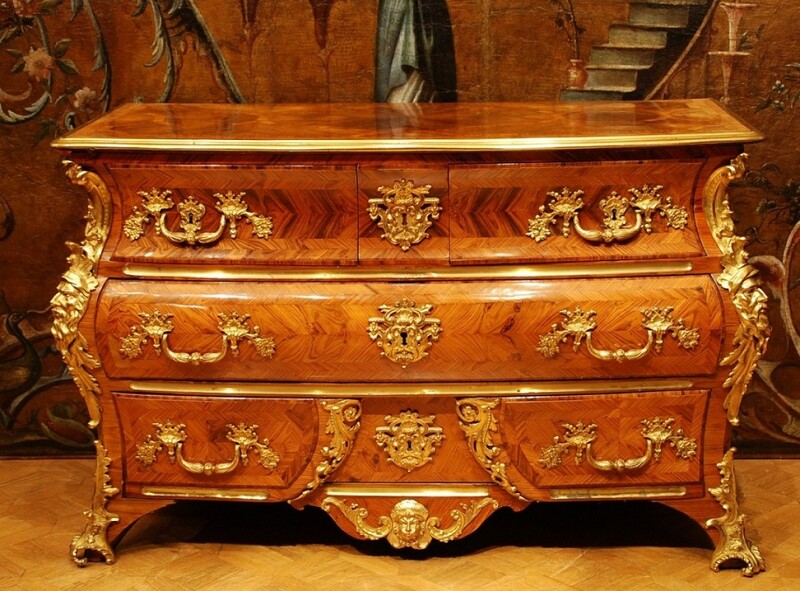 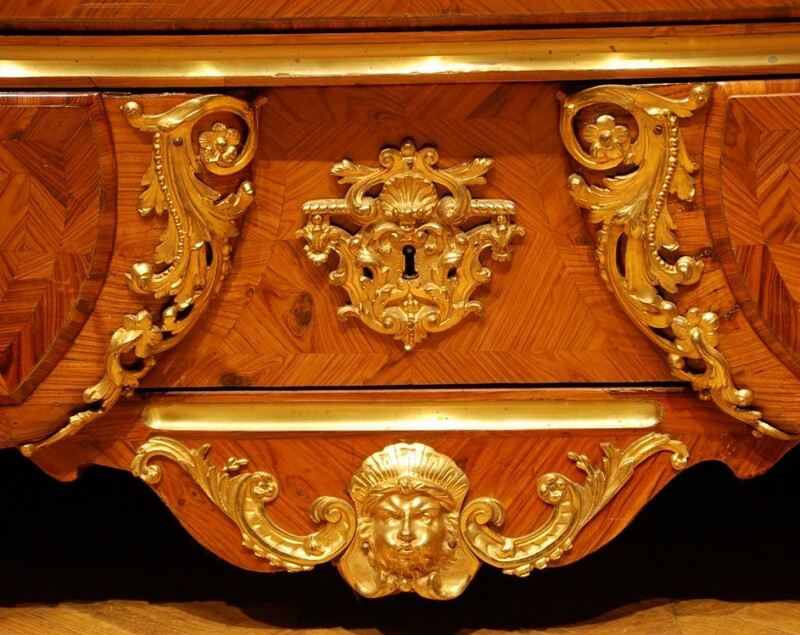 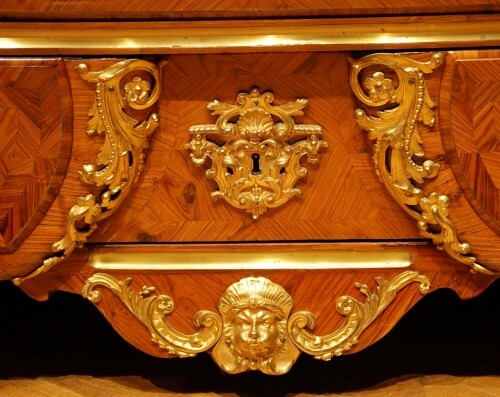 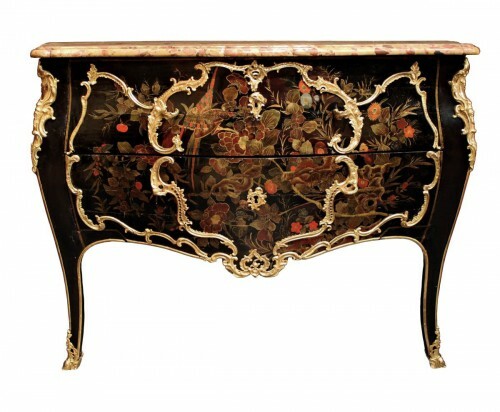 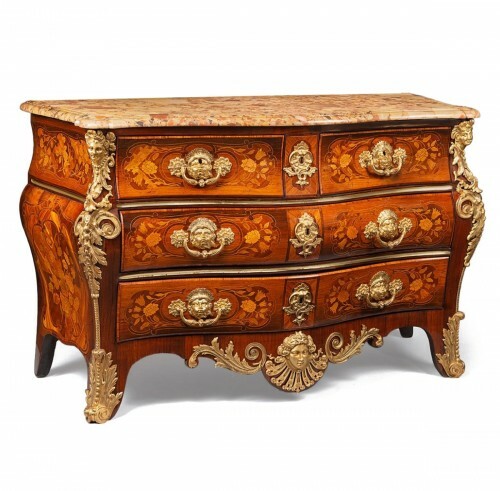 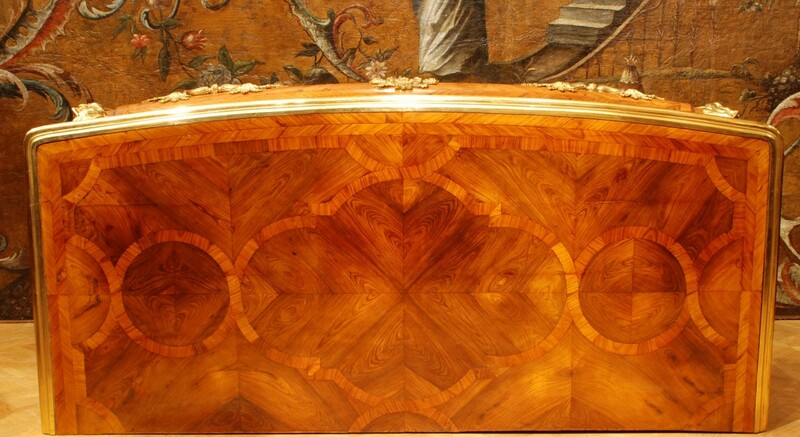 Beautiful Louis XV period commode in Kingwood veneer, decorated with carved and gilded bronzes. 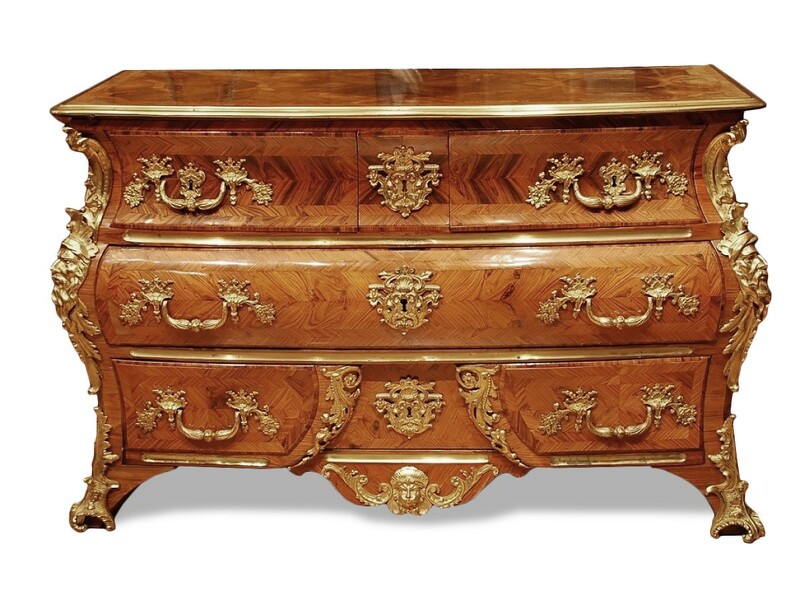 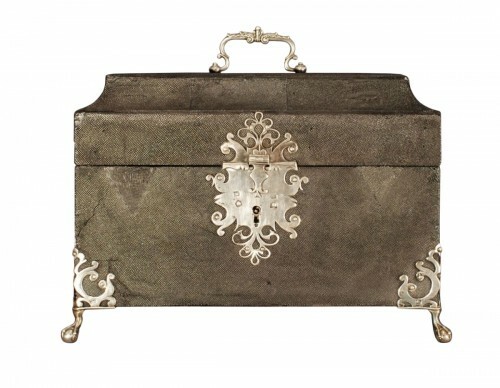 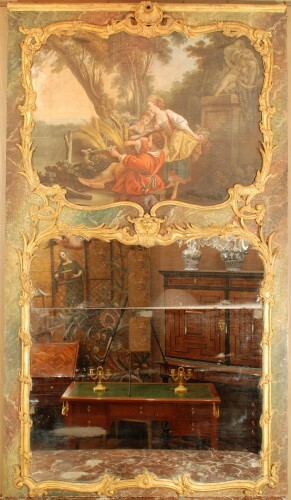 Curved shape, it opens with 4 drawers in three rows, the top surrounded by a gilded bronze mold is inlaid butterfly wings. 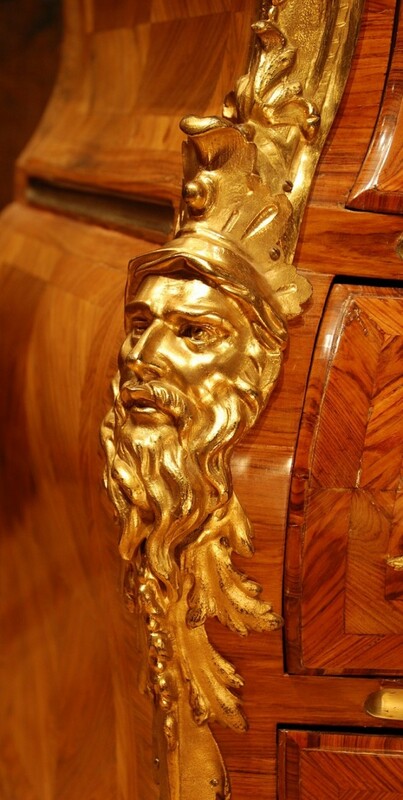 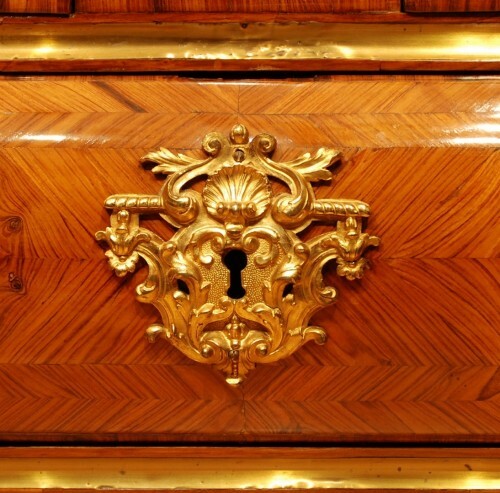 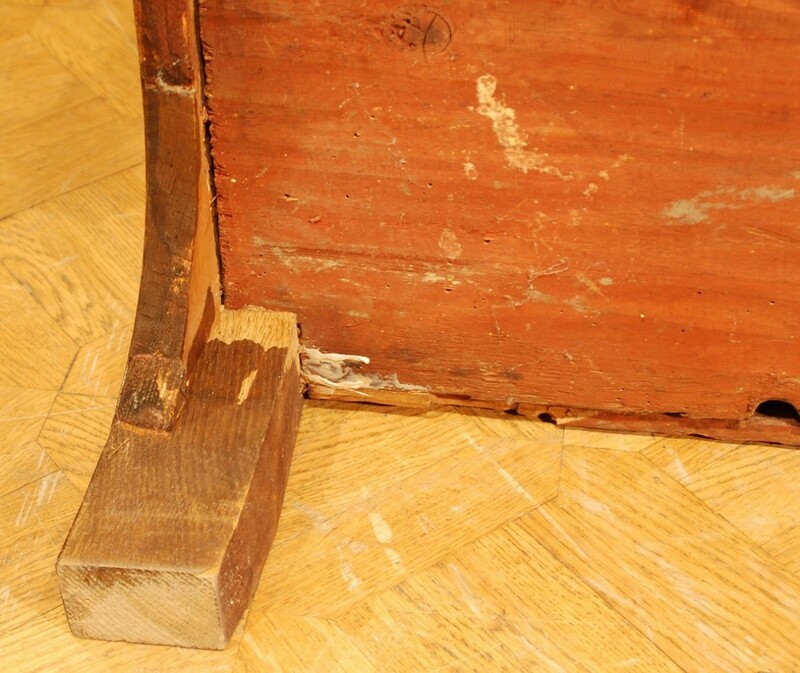 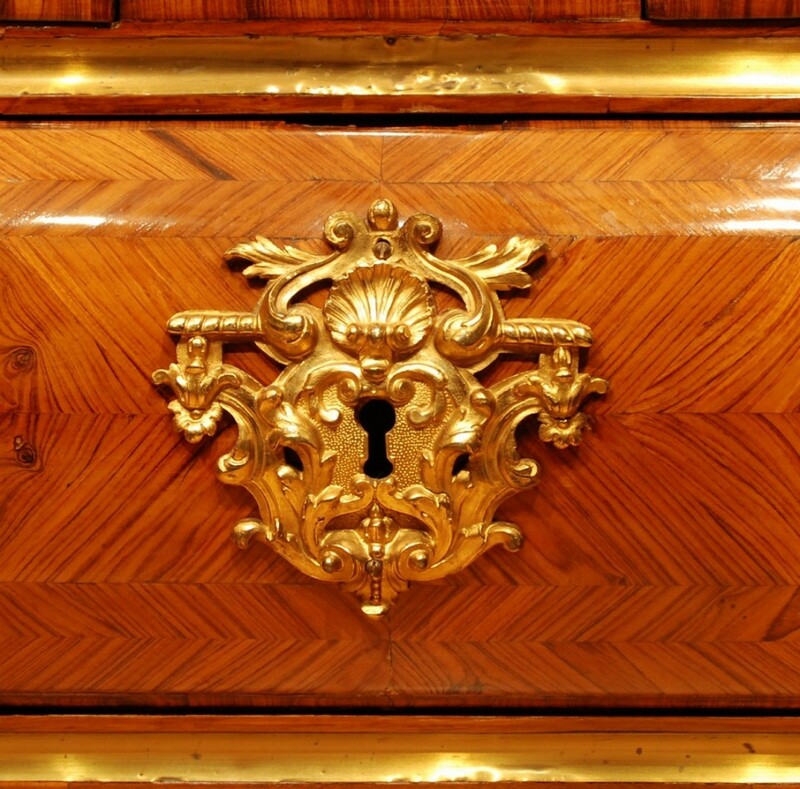 The bottom deck drawer is framed by whiskers, the crosspiece centered with a blower-headed apron. 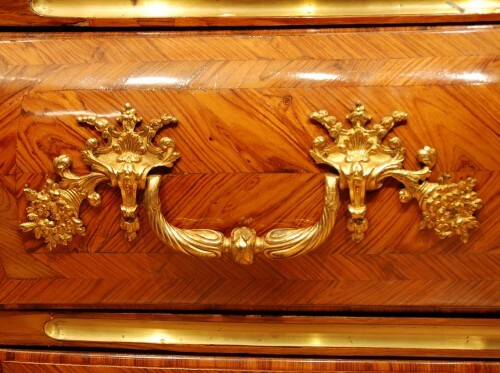 The bronze falls are beautiful.